Nowadays, washing machine is already a mandatory item in the household. Maybe as same as iron and rice cooker few years ago. So, the washing machine is a must have per household. 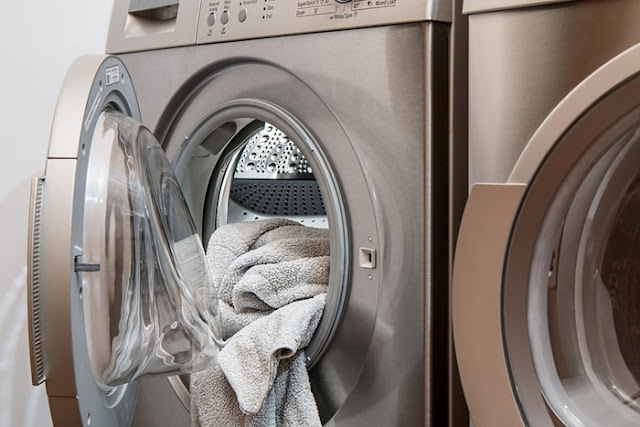 Speaking of the washing machines that have become the primary needs of every household, today's electronics manufacturers are competing to launch sophisticated and affordable electronic equipment, including cheap and hi tech washing machines. So what we should do if we need to bought one but we've been too confuse to choose one of them? Here we will let you know some tips for choosing a good yet cheap washing machine. Okay let's talking about simple financial planning! So, every action no matter it is small or big amount according us but we should have to focus on the main function. Just like the washing machine. If we want to bought a washing machine, so the washing machine will be used for what purpose? Is it will be an asset for doing business such as laundry services? If yes, so better to use front loading washing machine which have a capacity of 8-10 kg. But if we use it just for our household, in family with 2 people, top loading washing machine can be an option, although it's up to you if you want to use front loading washing machine. A capacity around maximum 8 kg is enough. For a minimalist room maximum of 1 square meter, front loading washing machine and top loading washing machine can be a good option. Instead the front loading washer can be placed with a higher elevation because of the opening in front, maximal parallel to the chest height of the washer user. Well even though the automatic washing machine, still requires people to operate it properly and correctly. Sometimes, the washing machine is so sophisticated, errr and it's users do not understand how to operate it well so it will be broken as fast as possible. What a shame! If the washing machine is sophisticated and there's another person in our household operate it too maybe a household helper, it's better that we actively educated first how to use and care of the washing machine. Do not forget to teach them how to operate it well even it will be takes much time. Well, the washing machine must be directly related to the soap/detergent used. The outstanding detergent can all be used for all types of washing machines. However, it is better adapted to the engine for optimum results. Both front loading and top loading washing machines also use special matic detergents because their detergent content does not cause corrosion to machines like ordinary detergents. Make sure how the water supply at our home? Is it small and low discharge so we should be accommodated to some bucket first? It's good to use a twintub wash machine that can be opened close at any time even if the machine was washing. For non-direct tap water supply, top loading washing machine is still possible to use with minimal effort and pause for a while when the washing process begins. Front loading washing machine obviously can not, because when the washing process begins, the door will be closed until the washing process is complete.